Here at DataSpace we like to get involved in our local community. We feel it is important as a business to know what is going on in our local area. And we also feel it is part of our duty to help various aspects of our community. Which is why we have chosen to sponsor the Beechwood Netball Club. 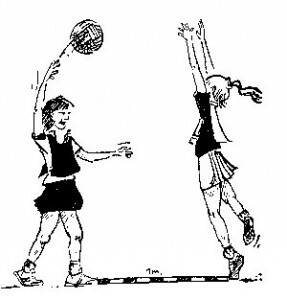 Based in Runcorn, the Beechwood Netball Club runs netball groups for all ages. From 5 and upwards to juniors, seniors and those who want to get back to netball. The Beechwood Netball Club are an integral part of the Runcorn community. Which is why we wanted to sponsor them. As a community it is important that we stick together and we wanted to join forces to see how we could help. If you want to find out more about the great netball club we are sponsoring, simply head over to their website. It is a very festive place at the moment and there are some great team photos. At DataSpace we take our corporate and social responsibilities seriously and this is just one of the initiatives that we will be involved in throughout 2013 and beyond. If you want to find out more about our corporate and social responsibilties then simply contact us on 0800 028 8956 or email us info@data-space.co.uk. We are pleased to see the Beechwood Netball Club doing such a great job at getting our local community active, involved in teamwork and working alongside some great businesses and intitiatives. Let’s do what we can to keep these kinds of clubs and projects going.